On my wander to Routin Brig today I noticed quite a bit of litter, so I'll be back with a bag tomorrow to pick it all up. D brought this crisp packet home from his walk around the field next to our house. 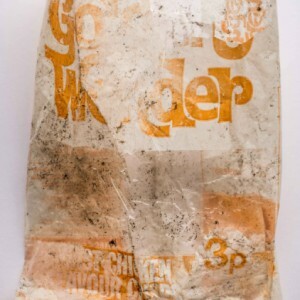 It must have been there for nearly 50 years, I'd say early 70's...in the days when we were just getting used to paying in 'p" instead of 'd', when Roast Chicken crisps actually contained real chicken (and MSG but no E numbers). In the days before bar codes or postcodes. 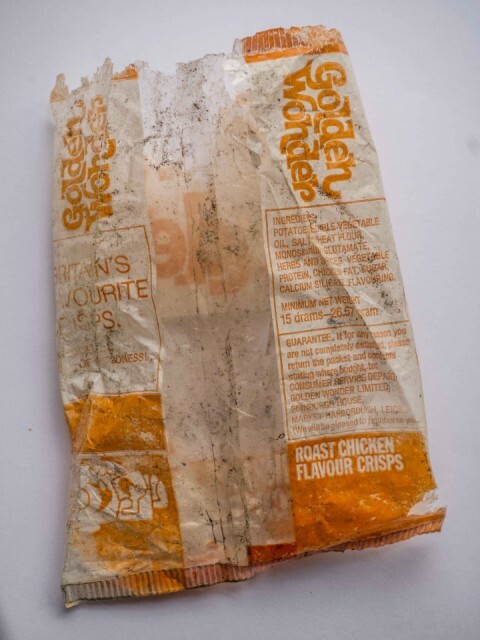 The first Golden Wonder crisp was made in 1947 in Stockbridge, Edinburgh, and once laid claim to being "Britain's Noisiest Crisp". The company went into administration in 2006 but was rescued and now owned by Tayto of Northern Ireland.